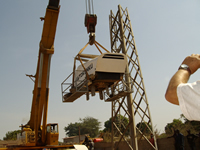 In 2009 the first big 150 kilowatt windmill was installed in the village Batokunku. 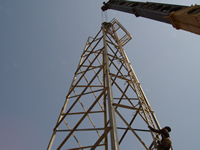 Global Energy raised the tower and installed the wind generator together with the German company Windstrom Service SH GmbH. 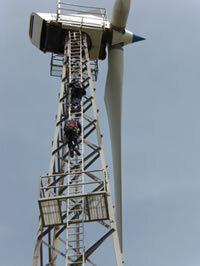 The wind generator is under service contract with Global Energy. We are happy to use our expertise for future wind power projects.